Write your own fairytale with this stunning new Lavender! 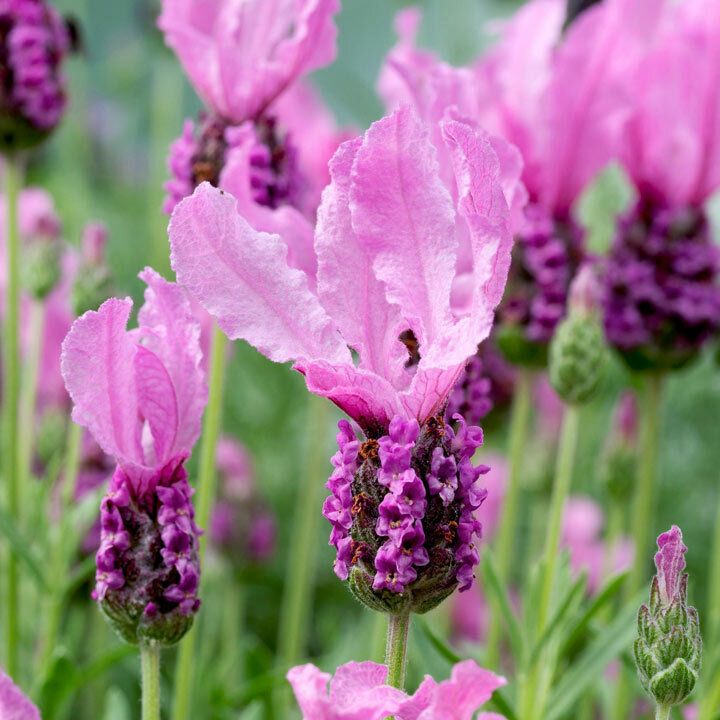 French Lavenders carry a more musky fragrance than the traditional English species and have an altogether different appearance, with frosted wings on each bloom. Selected for drought tolerance and abundant flowering. Perfect for a sunny patio pot or well-drained border. Flowers May-July. Height 40-50cm (16-20"); spread 50-60cm (20-24"). Each fragrant bloom carries a fairy wing! Lavender will add colour and fragrance to any home. Be creative with your lavender. Its mounds of fragrant grey-green foliage are ideal for borders, hedging or in pots. Hang bunches of flowers to dry and use it in potpourri indoors.